I don't have an extensive amount of make-up brushes, but I always tend to go to ELF when I need to buy anymore. 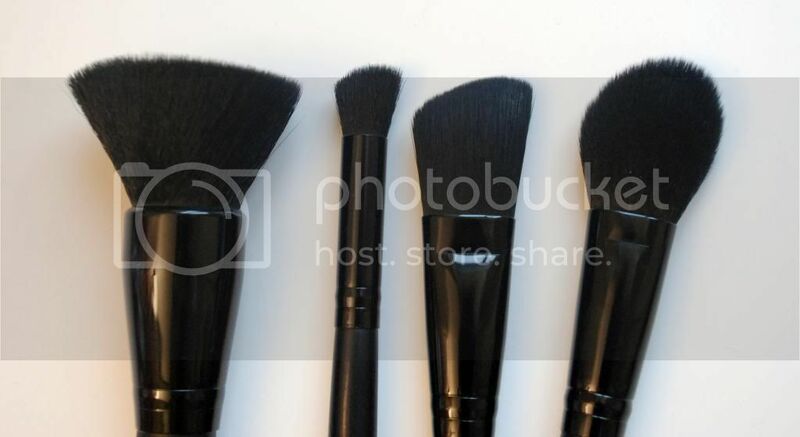 I can't afford to buy Real Techniques, MAC or any other high-end brand all the time, and I've always found ELF studio brushes to work and last just as long as the expensive ones I own. I thought I would branch out on my brush collection, and ended up going on a bit of a haul on ELF during one of its 40% off offers. I have never owned a flat powder brush, so I was intrigued to see whether I would get on with this or not. 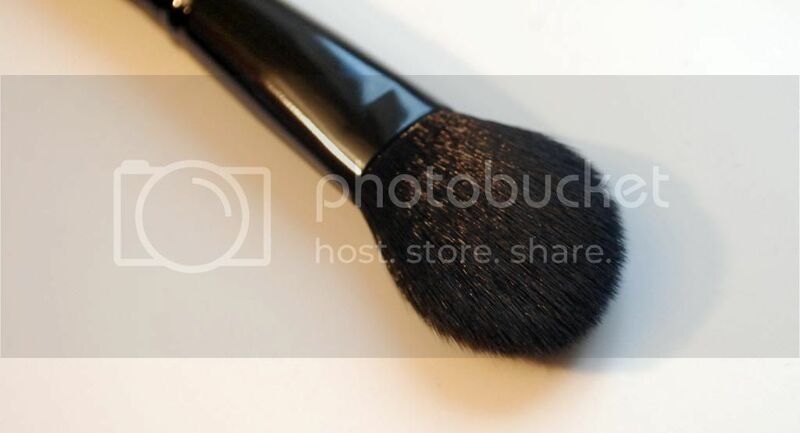 I tend to use this brush to quickly apply powder without literally brushing it on - I gently pat the product on like I would with a sponge applicator. 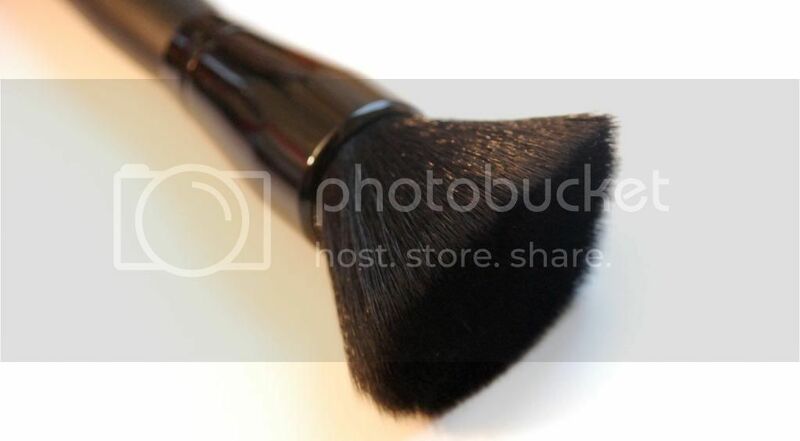 I do worry that this shaped brush will disturb my foundation, as its not the softest of brushes. The bristles are soft, but it's so compact together that there's no real movement and doesn't glide nicely on my skin. Does that even make sense?! 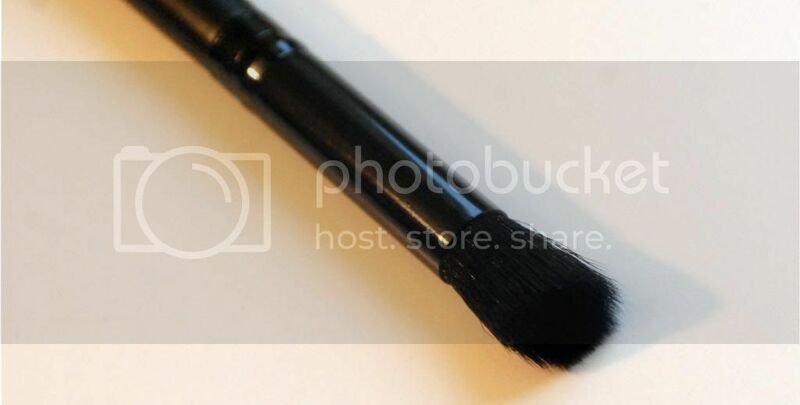 Perfect for contouring on the eyes, this brush is really soft and yet helps you to be accurate when applying eyeshadow. 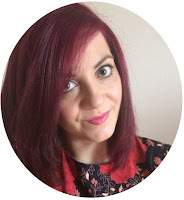 It's quite comfortable to use, as I tend to use it for the creases and for base eyeshadows. I also like the fact it's angled, so it's easier to apply your make-up. This is my first angled foundation brush, and I can't say I'm totally won over yet. 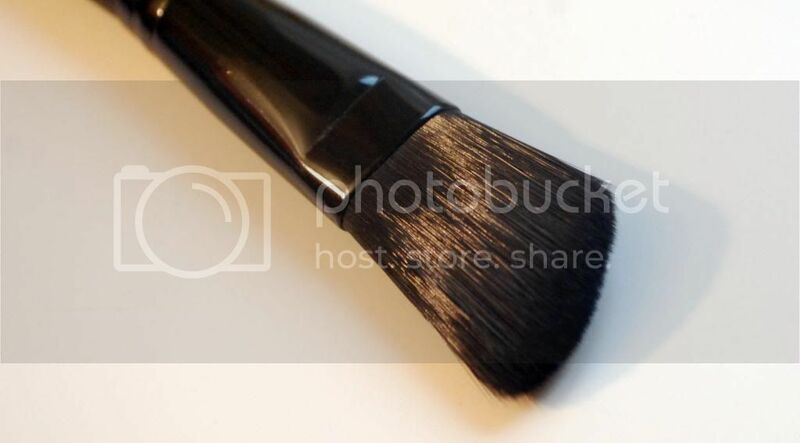 The angled brush helps you to apply liquid foundation evenly, but it's not totally necessary to own! It does help you to be more precise when applying foundation around creases though, so I'll give you that one. You can't go wrong with a good blusher brush, and this one fits the bill. It offers precise application, is nice and soft on your skin and just does the job for both blusher and bronzer. Some of my other blusher brushes tend to malt on me... I end up with bristles all over my face! This one doesn't do such thing though... So far, so good. 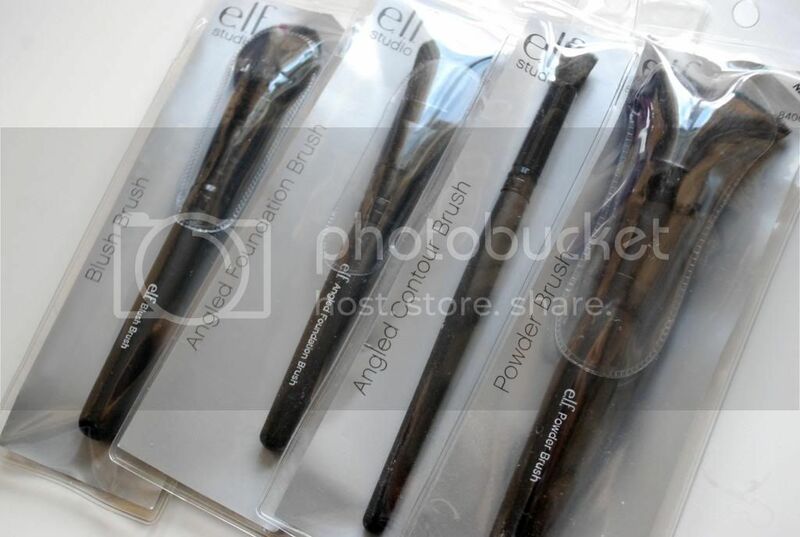 Have you tried ELF's make-up brushes? What's your favourite make-up brush brand?